That was a lifetime ago. Now, he tends bar under an assumed name in rural Virginia and leads a peaceful, quiet life. One that shouldn’t change just because a vampire and a blonde walked into his bar… Right? Is it too much to ask that a guy named Charming have at least a little bit of charm? Just a touch? I wouldn’t have even minded had James taken the Into the Woods route of “I was raised to be charming, not sincere.” Because honestly, he’s got none at all. And when a major subplot of this book is about a flirtation with Sig (the blonde referenced in the summary) and the jealous of her almost-ex, and there is absolutely no chemistry there, that’s a problem. In fact, I felt at arms length from Charming this entire book. As much as I knew his story, I still felt like I didn’t really know him or care about him or about his plight. It’s a shame too, because I rather like the bones of the book: back during the Black Death a group of elves made a deal with the Knights Templar: protect the humans from the supes of the world and in exchange they got spared. There was definitely some thought put into the piece as James clearly not only knows the base legends around the vampires and the wolves, but also mentions a few tweaks I hadn’t read about before, like vampires being only able to drink from their own blood type and the like. It makes for a great set up for an Urban Fantasy world. That said, aside from the way I felt at a distance from the narrator – even though he was narrating directly – there were a couple of style issues here that impeded my enjoyment of the book. At one point we meet a vampire from New Orleans (okay, not everything is unique) and he had his dialogue spelled out phonetically. You practically had to read it aloud to make any sense of it. The character didn’t last long, but it was still extremely annoying, especially since he’d already pointed out how thick his accent was. For me at least, it was enough to get the point across. Another style choice I didn’t care for was the occasional conversation that would go like this. These asides were infrequent enough to become accustomed to them, and didn’t add enough to the story to justify the interruption of the flow of the story. Either commit all the way, or just don’t go there. I could go on about Sig and her creepy boyfriend, but I honestly don’t feel a need to. That story goes exactly how you expect it to, and while the plotting is good – a change that happens to John towards the end of the book feels like it’s been building up nicely throughout – the absolute lack of connection with John makes this enough of a slog that I can’t recommend it just on those merits alone. Like I said, the core of this book is absolutely solid. 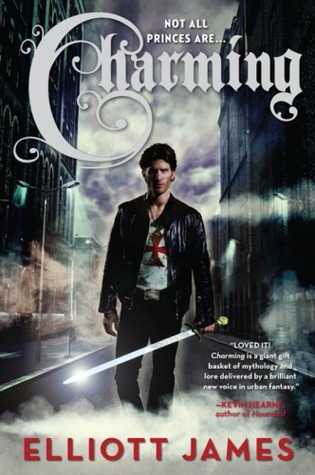 Male-lead urban fantasy is rare, so it gave me high hopes for it. I’ve said it before and I’ll say it again: I love me some good world building, but if you don’t give me a narrator that I care about, the rest is for naught. Hey everyone – just a heads up that I will be going on vacation, and so too will my blog. Although I’ll certainly be reading, I’m not going to worry about trying to post, though I’ll almost certainly save my thoughts to post upon my return on April 27th. Happy reading all! Sulis’s twin Kadar, meanwhile, is part of a different sort of revolution. When Kadar falls in love with a woman from a Forsaken caste, he finds he’s willing to risk anything to get these people to freedom. But with Sulis drawing a dangerous level of attention from the deities, and war about to break out on two fronts, change may not come as easily as either twin had hoped. 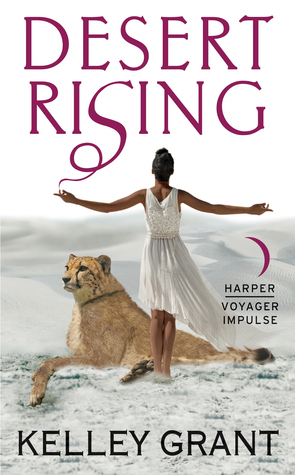 I’ve said in the past that one of the better aspects of the Harper Voyager Impulse line is its lower price point: it encourages you to take chances on books that you might not otherwise look at, or, in the case of a book such as this, a book that has flaws, but enough originality to balance it out. There is some fun to be had with this book: I like the idea of the four deities speaking through humans, and that the humans can channel the powers of the gods when needed. There’s a very Greco-Roman feel to the whole affair. Bonding with the feli isn’t entirely unique, but you really can’t go wrong with giant cats either. That being said: the world feels generic. The vaguely Middle Eastern setting isn’t taken advantage of. There is the one empire that is subduing the other, and of course the empire is evil and condones slavery while the good guys treat all people of all levels equally. It’s a bit preachy and it’s been done before and not overly compelling. I’m also not sold on the machinations of two of the deities. While the premise of war is intriguing, making one someone who preys on the pledges is…yeah. And it doesn’t feel like the have any nuance either. There’s nothing that makes them sympathetic, and given that she does change point of view to tell their portion of the story, there’s no reason she couldn’t have given them more depth. If they don’t have depth again they’re not compelling. I suppose you could argue that they are petty because their gods are petty, but if that was the aim, then I’m not sure that we needed this point of view at all then. I don’t know. So yeah, it’s a mixed bag. There’s definitely enough there to give it a look, but for epic fantasy, it could stand to be a little more epic. It’s not uncommon to see me review books about vampires or angels and demons. Heck, I’ll even dip my toes in werewolves and shifters now and again. What you won’t see from me are books about zombies. For the most part, unless you’re talking the original witchcraft flavored varient, zombies are creatures of horror, not fantasy. As a monster, zombies are little more than animals in a human body and as such they don’t make for compelling characters. Despite a novel existing because of zombies, zombie novels are never <i>about</i> zombies and as such, they just don’t hold much appeal for me. But, as is my wont, occasionally I feel the need to read something a little bit different and when solicited with a pitch for this book, I decided to give it a shot. And if based on this introduction, you’d guess that I have practically no experience with zombie novels, you’d be right. Therefore, I have to say that it’s a bit disappointing that for a genre I never read it (nor watch, for that matter) this book feels like it hits the beats I expected it to hit, by the time the focus shifts to something that feels a bit more unique, it may well be too late because you simply may not care at that point. You see, the first half of the book is spent hitting all the basic notes of the genre: guy who is not zombie is thrown out of the protected enclave he grew up because of the chance he might become a zombie. He discovers that life outside of said enclave is incredibly dangerous, not only because of the zombies, but because of the humans that choose to live out there. He has to learn both how to survive, but to keep his humanity in a world where violence, slavery and subjugation of women are the norm outside of the enclaves. The second half of the book the story becomes less about his struggles and how he inadvertently becomes a leader of men who wants to try and create a new life for the people him, branded and unwanted by the clean population, plus the story of a cult that brings in human sacrifice because they can. It’s a bit more interesting than the first half for sure, but it still feels somehow lacking, something I have to attribute to Finn himself. As a character, Finn is fine. He’s certainly likable enough, but that’s as much due to the fact that he’s only one of the decent humans you meet for a large stretch of the first half once the story picks up. He’s not quite a goody-two-shoe, but he certainly has this sense of nobility and honor and whatnot that, while admirable, does seem questionable given that he is of the generation born after the zombie-virus hit and he’s never known a world where such morality could have existed in. I get that he was raised in a relatively safe area, but still. He feels too much of our time, or of what we should aspire to, and not like a product of his time. He wouldn’t be as hard as some of the characters he meets, but still. I don’t know that I quite buy in to it. At the end of the day, I don’t know that this book feels like an “ultimate” zombie novel. 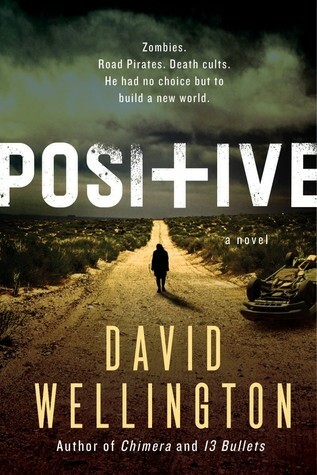 Is it a good zombie novel? Sure. Are the characters or the story so compelling to make them truly memorable? Eh. I suspect that actual fans of the genre might not find too much here to write home about. Those of us who don’t normally dip our toes in this sandbox may still like it however: though there is action and there is violence, this book is more of a survival story than a slasher fic so it may be a good place to start to see if you want to dig deeper. Note: The violence, while not the most graphic I’ve ever seen is still up there on occasion and there’s some disturbing implications about how women (and little girls for that matter) can be treated by some of the looters. While it isn’t enough for me to want to call this an 18+ title, I would still suggest this book is better for the 16+ crowd. Fifteen-year-old Ashley has a complicated life. There’s no doubt her overachieving parents love her, but they are wrapped up in their own worlds for so much of the time it leaves her feeling like she’s alone. Like a lot of teenagers, Ashley dreams of other worlds, but unlike a lot of teenagers her world is about to collapse as rifts to an ancient Fae Kingdom begin to open all around her. With the arrival of of a supernatural hit-squad intent on killing her, and an unexpected inheritance, Ashley’s London is about to become a magical and mysterious warzone where the prize is Ashley herself. Ashley has to find out the secrets of her own life before she is killed. Balancing ancient prophecies, schoolwork and the love of her life is difficult to say the least! Take part of the wonderful world of Moonlands. This is a solid little bit of young adult fantasy. It’s a fairly basic tale of a girl who thinks she’s nothing special – not smart, not pretty and whatnot, finding out that of course, she is. 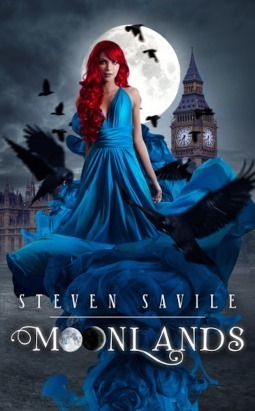 And this is set in a world that takes familiar fantasy elements – faeries, werewolves and what have you – and at least does a good job with making the Moonlands feel especially lush. Ashley herself is a pretty likable protagonist too, she feels like a teenager but she grows up when she has to, even if she’s aided by some convenient magic towards the end. While it’s nothing unique, it does at least have a nice little twist on why the villain is villainous, which is nice. I know this sounds rather generic – and to be honest, the book is – but this is one of those cases where that’s not necessarily a bad thing. There are some minor quibbles to be had though. First the author insists that we know the book is set in 2012. There’s a reference to Twitter and tweeting and a throwaway line about Ashley listening to music that speaks to “being a teenager in 2012.” I’m not sure why he did this: while having it be known that London is in fact a modern one is mildly important (if nothing else to contrast it against the world of the Moonlands), there’s no need to go that specific. 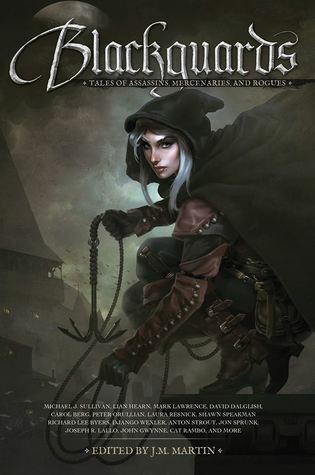 This book is solid fantasy with the tiniest hint of steampunk. Knowing it’s 2012 vs. 2002 does absolutely nothing for the story and ultimately those references just stick out like a sore thumb . The bigger quibble is that there is some definitely borrowing of ideas from Harry Potter. There’s a Knight Bus analogue. A bank that she visits to get her bequeath from a deceased aunt was clearly based on Grimmauld Place in the sense that it’s wedged between two buildings and non-magical people have no clue that it’s even there. It is a bit confusing as to how they exist given that it’s made quite clear that London has next to no magic, but there you go. Finally, there’s a creature that saps you of happiness and a will to live before killing you. Hello, Dementors. These aren’t book-breakers, but it is disappointing that there is such blatant copying going on. Finally, the end of the book implies that there will be a sequel. I don’t see anything on Goodreads to indicate that said book is about to come into existence anytime soon, but that this book is getting a re-release does make one suspect that it’ll come along at some point down the road. This book shatters no molds, and does feel a bit trope-y (let’s just say you’ll know that one enemy will flip to the other side well in advance of when he does) but it’s enjoyable and if you like the idea, you may enjoy it. Join us good gentles, for a merry imagining of Star Wars: Episode I as only Shakespeare could have written it. The entire saga starts here, with a thrilling tale featuring a disguised queen, a young hero, and two fearless knights facing a hidden, vengeful enemy. There can be something refreshing when the book is exactly as described on the tin: this is exactly what it sounds like, a Shakespearean retelling of The Phantom Menace. Without question, this is probably the best version of this story you’re going to see: Doescher unquestionably has a better ear for dialogue that Lucas does, and everyone’s inner voice is a better actor than Jake Lloyd which immediately makes Anakin more likable. Plus, Doescher manages to find a way to give Jar Jar Binks, a character created to be denied dignity, some dignity. The illustrations in the book are a nice little bonus and do a good job of blending the feel of the characters while giving them a 15th century twist. That being said: this is still The Phantom Menace. You can only do so much with a story that has some serious inherent weaknesses. Even with improvements to Jar Jar, he’s still ultimately Jar Jar. He and all the Gungans still ultimately sounds like they did in the movie and are still inherently annoying, so it is something to keep in mind. 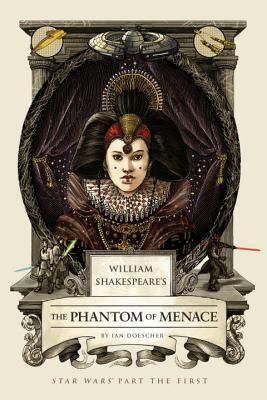 Ultimately as good as this book is (and he has done a great job), I still do feel that this is a niche title: one that I see only really appealing to Star Wars fans and Shakespeare. For the latter, you might well be better served by checking out the books he’s done for episodes IV, V and Vi – they’re just better stories. For the former, if you’re someone whose idea of enjoying Shakespeare is either watching an adaptation (like Empire or Ten Things I Hate About You) or you insisted on getting the copies of the plays that updated the vernacular to modern English, you may want to borrow this instead, because if you aren’t a fan of the poetry, the fact that it is Star Wars might not be enough to win you over. It’s something to keep in mind.